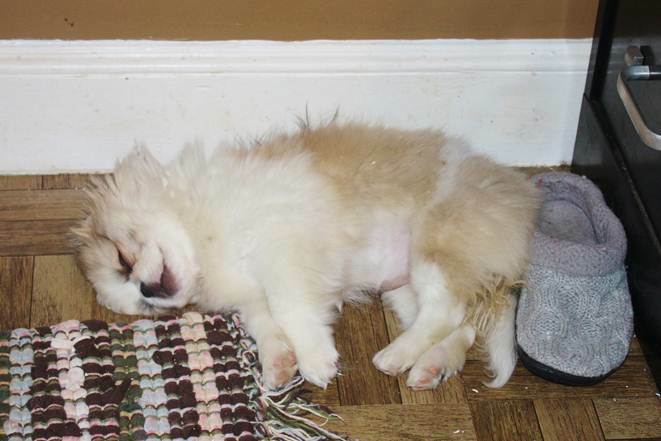 This is Macchia, who you may remember as Sunshine on my Puppy Page. 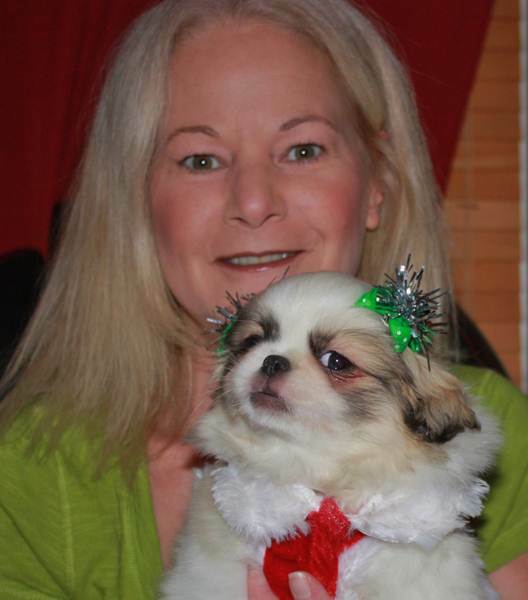 Adopted by Reggie-Ann in South Weymouth, Mass. 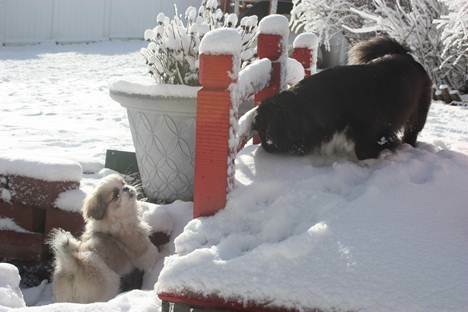 and where the Snow is Falling and Macchia is Loving every minute of it playing with her new family Peke friend Cameo. Reggie is a Great Photographer and I Love these pictures she captured that I think would be Great for Publication. 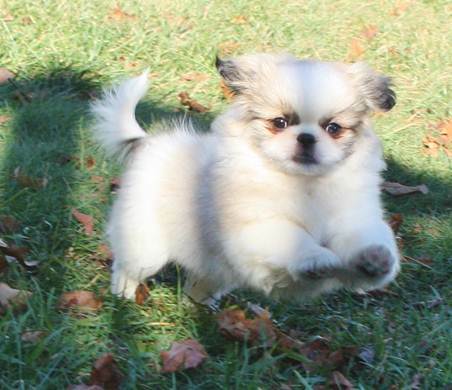 Macchia's brother is Blue Eyed Zek and sister in Sealy that are Available Now (Jan 12th. 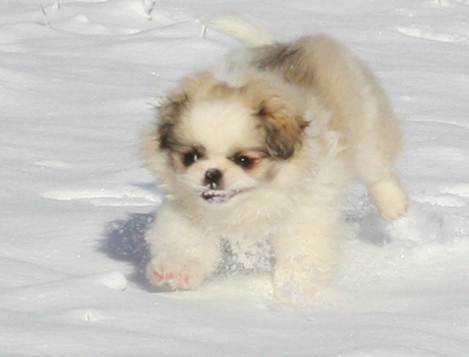 2013), so take a "PEKE" on my Puppies Available Page Now. Enjoy these Lovely pictures below. I sure did. Meeting her new Family. HOLD ON there CAMEO, just trying to make friends....Geeeesh! Oh Well, guess I'll just check out the yard by myself....Wow I can run pretty fast too! 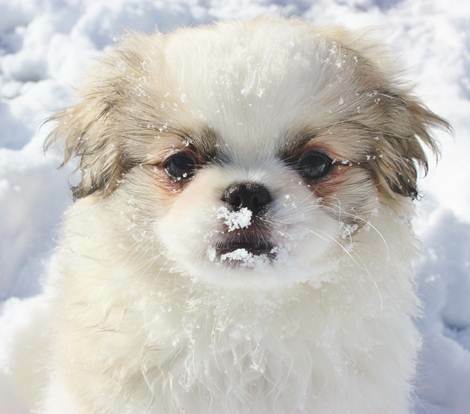 What the Heck is this Cold White Stuff? 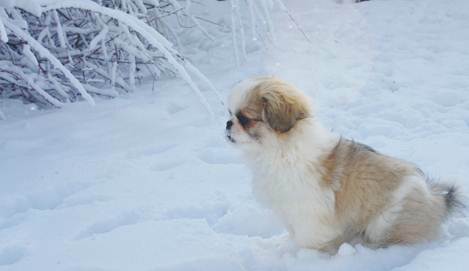 Hey Cameo, come see this cold White stuff with me, Looks like fun to play in. Hey, there are a bunch of long chew bones hanging out here! 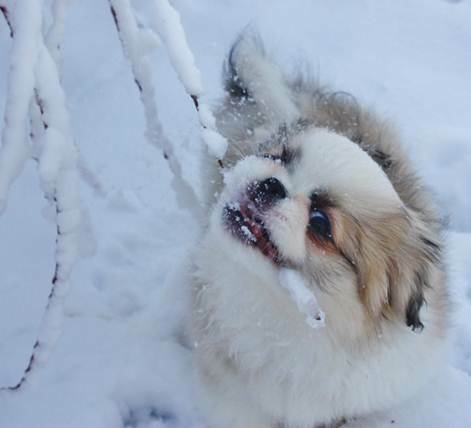 HELP MOM, it won't come off and my teeth are freezing! 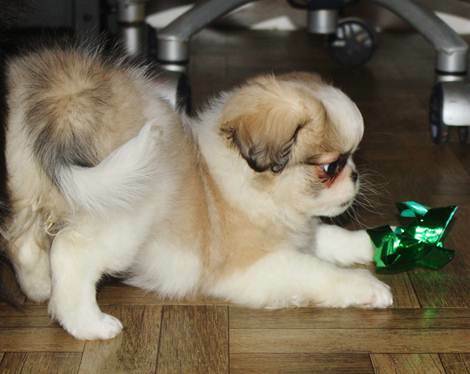 Mom said It's time to come in and open Presents, and this is a Great Bow to play with. WHOA! Forget the Bow! Mom must really Love me, and SPOILED should be my Middle Name, don't cha think? 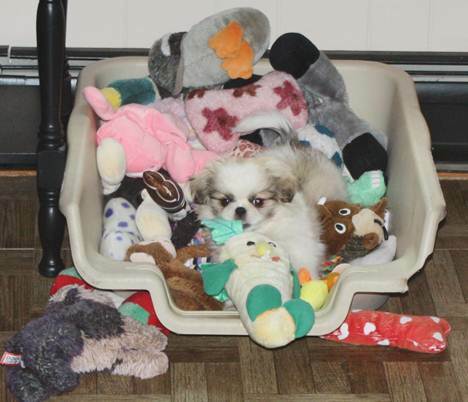 I know, I know, I know....got all them toys and I'm after moms boot. 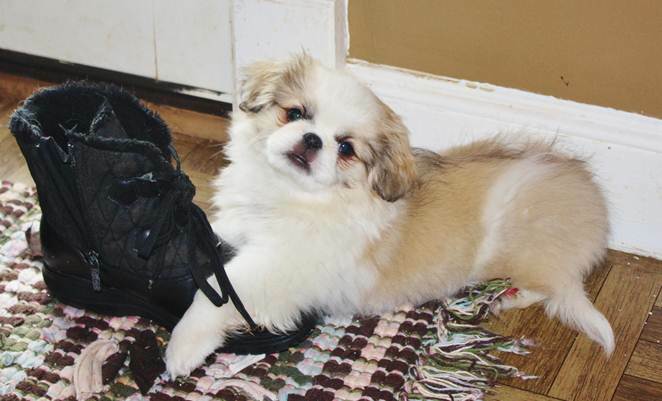 Hey I'm a puppy and puppies always love shoes Right? 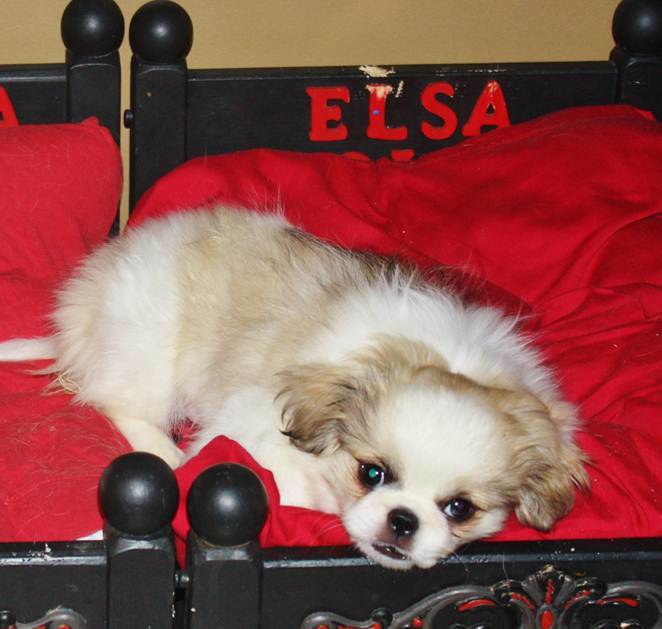 Just trying out Elsa's bed, Hummm, To Hard? Too Soft?